As the annual initiative, Great Backyard Bird Count (GBBC) from February 15-18–where birdwatchers around the world are invited to count and report details of birds in the area in which they live– marks its last day tomorrow, a veteran ornithologist here has said it was important to keep a tab on what are regarded as common birds too. 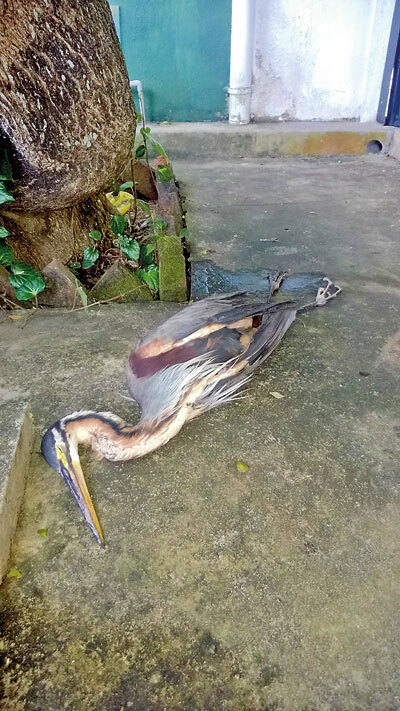 Prof. Sarath Kotagama says that while many are concerned about the declining numbers of rare birds, the numbers of common birds, too, could dip towards extinction without anyone realising it and, therefore, it was important to take a count of those birds too. The latest ‘State of the World Birds’ report published by BirdLife International reveals that while highly threatened species continue to go extinct, what were once considered common and widespread species too are in sharp decline. At least 40% of bird species worldwide (3,967) have declining populations, compared with 44% that are stable (4,393) according to the report. 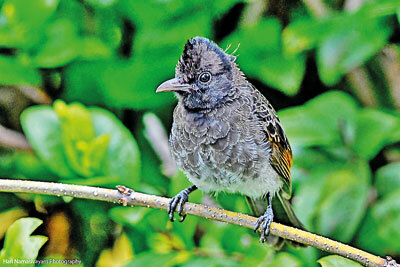 “As the birds around are mostly common ones, even an amateur birdwatcher can identify most of the birds around us. 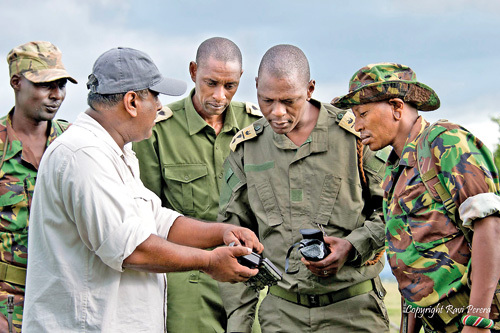 So the public too can join in such citizen science initiatives such as the GBBC and make note of the common birds which can be an indicator of the state of the environment,” Prof.Kotagama explained. 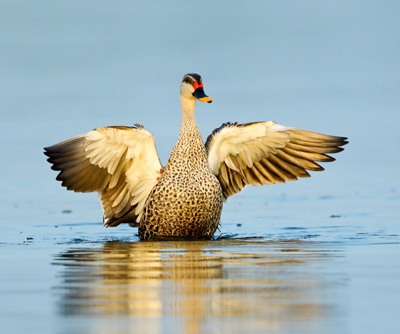 The global Great Backyard Bird Count (GBBC) is a citizen science project conducted annually in mid-February. During this four-day event birdwatchers around the world are invited to count and report details of birds in the area in which they live. The Field Ornithology Group of Sri Lanka (FOGSL) based at Colombo University urges Sri Lankan birders also to participate in GBBC. 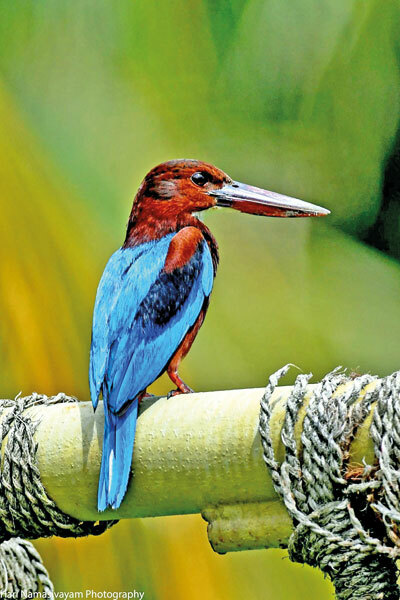 “The migratory birds are still in Sri Lanka in mid-February, hence the timing of the GBBC is good to get an annual snapshot of birds here,” FOGSL president Dr.Sampath Seneviratne said. “The GBBC is also a great opportunity to introduce not just adults, but children too to birding and build greater awareness of our biodiversity and its conservation. So get your kids to participate in this event,” urges Dr.Seneviratne. Meanwhile pointing out that the Bombay Natural History Society (BNHS) has announced its first coordinated flamingo count in the region on February 23 and 24, Dr.Seneviratne said that FOGSL will carry out a similar programme here too on the same days. He invites birdwatchers here to be a part of the programme by calling the FOGSL hotline on 0789330076. The Greater Flamingo (Phoenicopterus rosues) is a common winter visitor to Sri Lanka, and birdwatchers and wildlife photographers flock to Mannar and other northern regions to get a glimpse of the spectacular gathering of hundreds of these birds. Participants are asked to count birds for as little as 15 minutes on one or more days of the four-day event and upload their sightings on eBird (http://www.ebird.org). If you find it difficult to access eBird, make a list of the birds seen around in your area their numbers and details of the location, sounds etc and email to gardenbirdwatch.srilanka@gmail.com urges FOGSL or call their hotline 0789330076 for any assistance. Adam’s Peak is known as ‘Samanala Kanda’ (Butterfly Mountain) because large numbers of butterflies fly towards it during the pilgrim season. According to folklore these butterflies fly to pay tribute to the mountain and with the Adam’s Peak season starting next week, this is probably the best time to launch the ‘Field Guide to Butterflies of Sri Lanka’. This field guide is by Dr. Michael van der Poorten, the acclaimed butterfly expert together with his wife Dr.Nancy van der Poorten. The authors’ 2016 book ‘The Butterfly Fauna of Sri Lanka’ was widely hailed as a landmark publication for its comprehensive coverage of the biology of the butterflies of Sri Lanka. But it was a large heavy book which was difficult to carry around; so the need for a small, easy-to-carry book that could be taken out to the field arose, giving birth to this compact field guide. 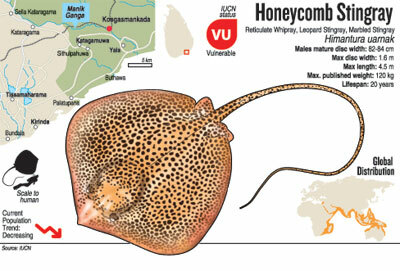 The guide provides a wealth of information on all of Sri Lanka’s 248 butterflies. Each butterfly is described with key information on its appearance, behaviour, habitat, flight period and prime locations for observation. The guide carries close-up images of butterflies taken from different angles featuring the most distinguishable features. The butterflies of Sri Lanka are broadly grouped as Skippers, Blues, Brush-foots, Swallowtails, Metalmarks, Whites and Yellows. While a swallowtail butterfly could be distinguished easily from a skipper butterfly, some species within the groups are difficult to separate as the markings differentiating them could be hard to pick. While images point out these features, the guide additionally provides ‘identification keys’ assisting identification. 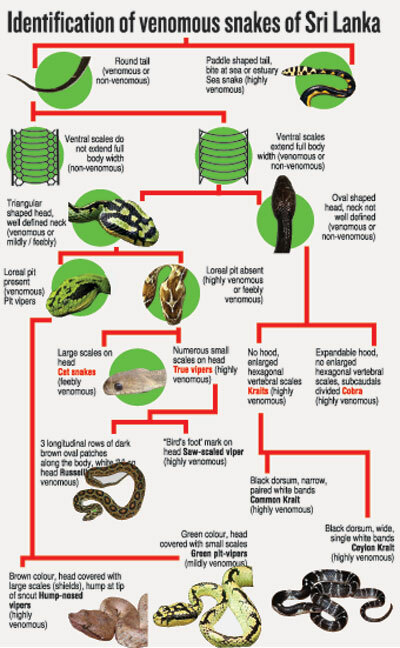 The book is arranged by grouping together those species that look similar rather than by taxonomic order that scientists often use. This is a notable difference as it helps butterfly enthusiasts to identify a butterfly in the field.The detailed distribution maps showing current and historical records of the range of different butterfly species is another feature that is quite useful to verify specially the sighting of some rare butterflies. Talking on the challenge of getting a good butterfly photograph, Dr.van der Poorten advises that a macro lens from 100 to 200 mm is a useful tool. But patience is what is absolutely essential if you decide to follow butterflies. The time of day too is important; the best time for photography is early morning when the butterflies start to warm up; many will open their wings when settled only at this time, our butterfly expert added. Most of our gardens are visited by at least a few species of butterflies, so they are special creatures that can bring the beauty of nature to our own doorstep. In the chapter “Through the eyes of a butterfly” the authors give guidance to those who would like to make their garden butterfly-friendly. “In order to have a flourishing butterfly garden, you need to see the space through the eyes of a butterfly: what are the resources that butterflies need to survive. What will attract them to the garden and what will keep them around and prevent their departure elsewhere”. Butterflies are undoubtedly so beautiful and harmless that they are a great introduction for kids, so make your garden ‘butterfly friendly’, Dr.van der Poorten urges. Delegates from around the world gathered at Nairobi, Kenya, last week to discuss how to make the emerging ‘blue economy’ sustainable. The gathering is seen as the first global-level conference dedicated to discuss blue economy emphasising the need for sustainable use of oceanic resources. Sri Lanka sent a six-member delegation that included officials from the Fisheries Department who said the discussions were very relevant to Sri Lanka. The sustainable use of ocean resources for economic growth, improved livelihoods, and jobs while preserving the health of ocean ecosystems, has been termed ‘blue economy’– a popular buzz word lately. The summit covered issues facing oceans, seas, lakes, rivers and other water bodies. Fisheries is what comes to mind as the most important resource that oceans provide. However, as land-based resources fast diminish, oceans become the last frontier that can give an extended lifeline for humankind, experts point out. Nations have already started exploring the oceans for resources other than fish, such as minerals, oil, gas and other resources as well. According to reports India plans to spend more than $1billion during the next decade to develop and test deep-sea technologies – including human-piloted exploration submarines – in the Indian Ocean that could give access to once inaccessible mineral riches up to 6.8 miles (11 km) under water. While Sri Lanka can benefit working closely with nations who have capabilities in extracting resources, Sri Lanka should not allow its resources to be over-exploited, point out experts. 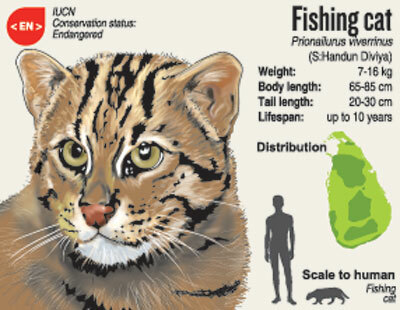 Sri lanka and India have already locked horns on the issue of Tamil Nadu fishermen invading our waters and employing harmful bottom-trawling methods to catch fish. Having international corporation to solve these kinds of issues is important, therefore it is important that Sri Lanka makes use of these kinds of summits to tackle trans-boundary issues strategically, the experts add. Fisheries Department director Monty Ranathunga who was a member of the delegation that attended the Nairobi said at the end of the three-day summit eight statements, dubbed ‘The Nairobi declaration of Intent on Advancing Global Sustainable Blue Economy’ was issued. Participants at the summit recognised that with population growth, demand for goods and services will also grow accordingly, and that this will exert additional pressure on land-based resources, which are slowly diminishing or already over exploited in many cases and welcomed the global interest in developing and conserving the resources of a sustainable blue economy,the official said. The Nairobi declaration also stated that with collective determination, and building on efforts at local, national and international levels, the global community can intensify investments and harness the full potential of the oceans, seas, lakes and rivers to accelerate economic growth, create jobs and fight poverty. Simultaneously, the world can improve the health of the oceans, seas, lakes, and rivers and the ecosystems they support. The declaration also recognised that science and research are crucial for policy development, implementation and evaluation, the official further said. Click below for ‘Nairobi Statement of Intent Advancing Global Sustainable Blue Economy’. Northern Sri Lanka’s beauty eluded the third eye of nature photographers for a long time because of security issues. 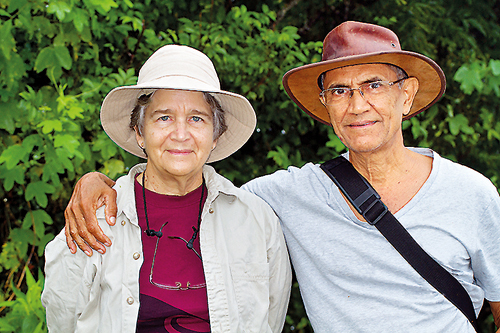 But with restrictions eased after the war, well known wildlife photographers Thilak Jayaratne, Janaka Gallangoda and Nadika Hapuarachchi became frequent visitors to this region. The beauty of Mannar and Adam’s Bridge sand islands mesmerised these photographers and after a gruelling five-year effort, they compiled their experiences into a coffee table book ‘Mannar Unbound’ with the assistance of Tamara Fernando. ‘Mannar Unbound’ is a result of their extensive field work documenting the flora and fauna of the region. The book spans a variety of photographic genres including avian photography, landscapes, underwater fauna and architectural ruins. Capturing the images on this challenging terrain requires infinite patience to follow trails, waiting patiently at nesting sites and often taking bumpy rides on a rough sea. The photographers had to visit the same sites repeatedly to photograph during different seasons – Nadeeka Hapuarachchi recollects the experience on behalf of the team of authors. Some images of the book are worthy of special mention. These include photographs of species of pelagic seabirds in the Sand Islands, the critically endangered Dugong and some choice underwater treasures.However, “Mannar Unbound” is not just a collection of photographs as this visual story is intertwined with a historical story exploring the times of Portuguese, Dutch and British colonial periods. The book goes further down in history telling Mannar’s tale from the glorious days of the Anuradhapura kingdom. It recollects how ‘Mahatiththa’ (Great Port) – as Mannar was known in ancient times –allowed Sri Lanka’s great kings to reap the benefits of the ancient Maritime Silk Route. The book then explores Mannar’s iconic pearl fishery and Robert Knox’s famous accounts of the region. The book recollects the mystical beauty of these sand islands. “It feels like you have this uninhibited piece of paradise all to yourself. During high tide nature puts on an extraordinary display, filling the basins of the islands with gushing sea water, which gives an appearance of the Amazon river basin on aerial photographs. The scenery melts effortlessly from white sandy beaches and gentle undulations of sand dunes to verdant salt marshes. I can happily spend the whole day here, watching from a vantage point at endless turquoise water crashing against deserted white sand shores,” one account states. There are lots of coffee table books capturing the terrestrial animals. Rarely are there are books that capture the beauty of the ocean’s depths. But the photographers of ‘Mannar Unbound’ even dived to capture its unique marine biodiversity and even managed to photograph a dugong – the most critically endangered mammal in Sri Lanka. Mannar island is only a part of Mannar District, but if you have a closer look, it reveals a region that is also home to dry riverine forests, damana grasslands and dry monsoon forests. The book also portrays photos taken in other parts of Mannar District such as Madhu Sanctuary and Giant’s Tank. 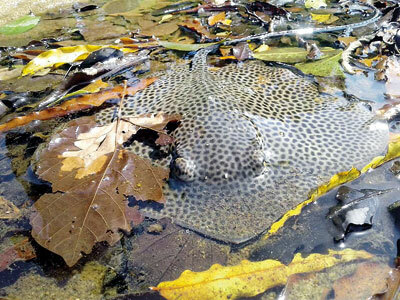 “The leaves are still dripping from an overnight downpour when Janaka slings on his day pack and heads out into the river on a day with a damp morning chill. It is just after the daybreak and already the Madhu Forest is alive with hoots and chatter. A strange ululating chant starts up in the distance, fades out then builds again. ‘Listen! says Janaka, grabbing my arm and cocking one ear, that is a ‘Ulama’, can you hear? There are two of them, singing a duet”- the authors beautifully reconstruct their experience elsewhere in Mannar District in the chapter ‘Magic of Monsoon’. “Photographs in this book freeze moments in time. But the story of Mannar is dynamic, cosmopolitan and changing even as the book goes to print. While our photographic stills capture images of beauty, they are threatened daily by encroaching industry, aggressive tourism and poor resource management. Mannar Unbound is a clarion call to savour the beauty of the region and to assist, urgently in its preservation” ‘Mannar Unbound’ concludes. With nearly 300 breathtaking photographs that span nearly 400 pages, ‘Mannar Unbound’ is priced at Rs.9000, but there is a pre-publication offer of Rs.6500 until December 9. The ‘Mannar Unbound’ photographic exhibition portraying some of the work in the book will be held at the Lionel Wendt Art Gallery on December 8 and 9. The exhibition is open to the public. While power-greedy politicians vociferously tarnish the image of country through their undemocratic fights, scientists silently bring some dignity to the name of Sri Lanka. Marine biologist Asha de Vos and cancer researcher Hasini Jayatilaka brought honour to the country when they were internationally recognised this month for their tireless efforts and groundbreaking discoveries. Ms. de Vos, known worldwide for her research on blue whales and for campaigning for the conservation of oceans, was named in “BBC 100 Women 2018” – a list of 100 inspiring and influential women chosen from 60 countries. “Asha works in the area of marine conservation to increase diversity, inclusivity and opportunity in the field” BBC stated on November 19. “I can’t tell you how proud I am to keep putting Sri Lanka on the world map for all the right reasons!” Ms. De Vos said, when notified of the honour. Marine biology is usually dominated by males but Ms. De Vos’s trailblazing marine research has made her an idol for Asian women. “I fight for the people in the developing world because 70 per cent of coastlines are around our shores, but because of the exclusive nature of marine conservation very few people have gone into the field. That is what I am changing,” the determined scientist said. The other Sri Lankan scientist honoured few weeks ago, Hasini Jayatilake, was named in the prestigious Forbes Magazine’s list of “30 Under 30” young innovators, entrepreneurs and risk-takers who are changing the world and have been identified as leaders for the next generation. Dr. Jayatilaka, just 28, discovered a signalling pathway that controls how cancer cells metastasise (multiply) through the body and a way to block that pathway. This has led to the development of new treatment targeting tumour growth and metastasis. 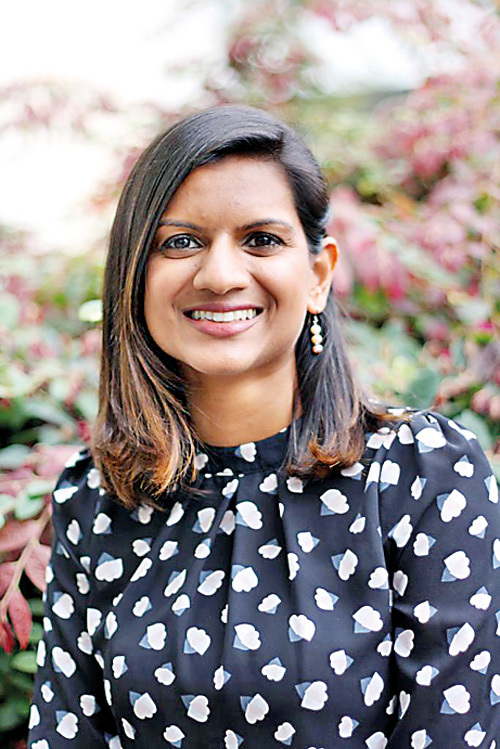 Currently a postdoctoral researcher at Stanford University in the United States, Dr. Jayatilaka was born in Australia and raised in Sri Lanka, studying at Ladies’ College, Colombo. 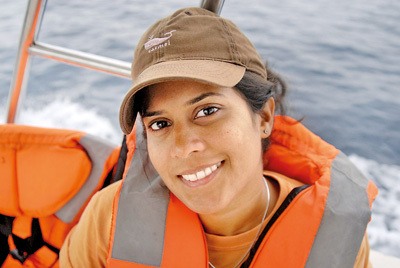 Her education is international: she engaged in undergraduate studies in marine and environmental biology at the University of St. Andrews in Scotland, gained her Masters in integrative bio-sciences at the University of Oxford and has PhD from the University of Western Australia and Johns Hopkins University in the States. 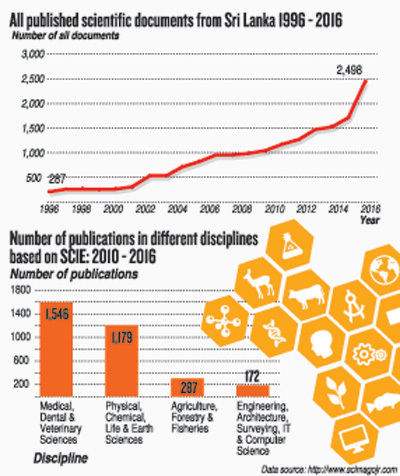 The awards were started in 2001 to recognise Sri Lankan scientists with a Sri Lankan institutional affiliation whose work reached international standards. The publications are peer-reviewed and are awarded after a two-year gap to allow scientific scrutiny for the academic work’s validity and accuracy. This year’s awards recognised work published in 2016. The awarding scheme is organised by the National Research Council (NRC), set up under the Ministry of Science, Technology and Research. “This award scheme was initiated in 2001 because of the perceived need to create a better research culture in our country by encouraging Sri Lankan scientists to increase their research output both in terms of quality and quantity, which was, at that time, at a very low level,” NRC Chairman Professor Janaka de Silva said. 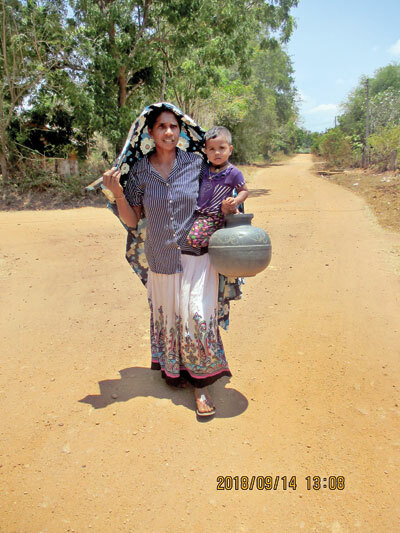 The Jaffna and Puttalam districts will be the top hotspots – areas where changes in average weather will adversely affect living standards – while the second most populous district in the country, Gampaha, is among the top 10 most vulnerable districts. Gampaha has been heavily affected by recent droughts, and the World Bank report points out that western Sri Lanka, along with south-eastern India, northern Pakistan and eastern Nepal, have experienced “unambiguous” temperature rises of 1C to 1.5C (1.8F to 2.7F) from 1950-2010. The report, South Asia’s Hotspots: The Impact of Temperature and Precipitation Changes on Living Standards, combines average temperature and rainfall information with household survey data to recognise looming changes to the human condition. Such changes inevitably affect the national economy. “In Sri Lanka, living standards could go down by around 5 percent, and in the worst-case scenario may decline by around 7 percent,” said Professor Muthukumara Mani, a leading economist in the World Bank South Asia Region and author of the report. 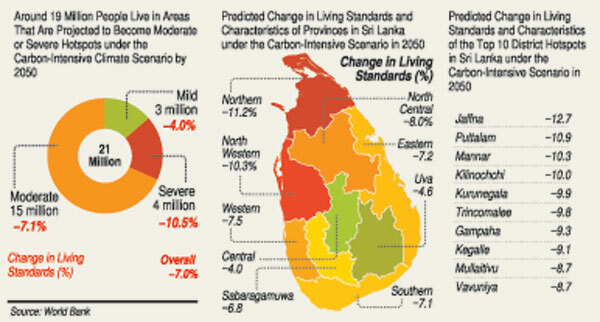 According to the report, about 19 million people in Sri Lanka today live in locations that could become moderate or severe hotspots by 2050 under the carbon-intensive scenario. This is equivalent to more than 90 percent of the country’s population. Stress was laid on the importance of coping with the changes of average temperature as much as the increase of severe weather events. “Global warming is proven, and the climate change is the ultimate threat multiplier. We are not doing enough, heading toward a 3C increase by 2100, and the poor will suffer most,” said Prof. Mohan Munasinghe, former vice chair of the UN Intergovernmental Panel on Climate Change. “We also tend to forget long-term effects as more focus is on the short term. In case of extreme events, we at least know kind of action that can be taken such as relocation, evacuation etc. and can have a robust mechanism to deal with natural disasters. But we don’t know much about gradual changes in temperature and how to face them,” Prof. Munasinghe said. On current trends, humans would need the resources of two planets to satisfy our needs by 2030, Prof. Munasinghe said, stressing the need to take a sustainable path. People employed in agriculture will bear the brunt of climate-change-caused hardship and many will face extreme poverty, the report states. They have already begun moving toward other day jobs as they cannot rely totally on agriculture, according to figures shown at the study’s launch ceremony. While less developed and agriculture-based households are more prone to livelihood upset, hardship will not be limited to rural areas: in Pakistan, the most vulnerable exist in urban areas. The report also states that female-run households are more resilient. Dr. Herath Manthrithilake, head of the International Water Management Institute (IMWI)’s country programme, said the highlight of the study is its linking of weather changes to the effects on GDP, which allows policymakers to easily understand the consequences of climate change. Dr. Manthrithilake said water will be an important resource and we would not be able to look as lightly on water management as we did in the last century. “We need to think about all the water resources and how to use them constructively — how we can combine usage. At the moment, once we use water for agriculture, we discard it. We need to find out how waste water can be reused,” he said. Kusum Athukorala of Netwater Partnership pointed out that women are foot soldiers of climate change adaptation. “Often, women looking for water in parched land has been the tell-tale picture of drought. So they are more affected, but female-headed households are more resilient to impacts,” Ms. Athukorala said. Given that five of the top 10 vulnerable districts of Sri Lanka are in Northern Province – with Jaffna, Mannar and Kilinochchi the worst affected – it is important that changes in average temperature and precipitation be considered for planning and development activities in that province. The report states that as more people move from agricultural areas to urban areas to cope better with the economic effects of climate change these shifts will in turn create new climate impacts, particularly with risks to health. The World Bank report suggests ways in which Sri Lanka could limit the problems caused by climate change. Increasing the share of the non-agricultural sector by a third could limit the deterioration in living standards from -7 percent to 0.1 percent. Reducing travel time to markets and increasing average educational levels would also help the country. 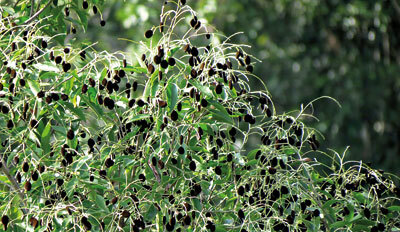 With its velvet coat and sweetish acidic taste the gal siyambala or velvet tamarind has been a delicacy for generations. The velvet tamarind tree (Dialium ovoideum) grows in evergreen monsoon forests and near rivers, especially in dry and semi-arid zones. It is not cultivated, so the fruit is harvested directly from the trees in the forests. Increasingly, the harvesting is greedy and brutal, with little regard for conserving the health of the tree. Organised gangs from nearby villages go into the forest and chop down entire branches of the trees in order to pluck the fruit off them. It is common to find the remnants of these cut branches left under the trees. Last week, 50g of gal siyambala fetched Rs. 80 at Dehiwala, with vendors lamenting that the fruit’s rarity increased the price. Decades ago, gal siyambala could be found in large heaps at roadside fruit stalls and markets from August, when its season begins. Blooms appear on the trees from February to April and the fruits come on the market from August to November. “At the end of August we visited a forest patch in Siyambalanduwa,” said Dr. Ashan Geeganage, who lives in Moneragala and has been lucky enough to taste the fruit directly from the tree. “We found several gal siyambala trees, but only two of them had fruit. 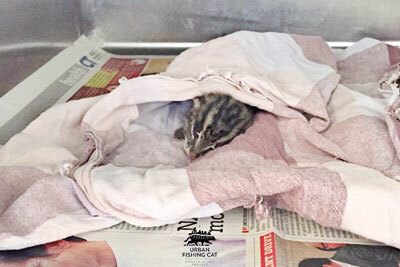 The fruits on the other trees had been plucked and some of the trees were chopped up very badly,” he said. The head of the Department of Crop Science at the University of Peradeniya, Professor D K N G Pushpakumara, said this kind of harvesting was destructive and affected the fruiting of the following year’s crop. 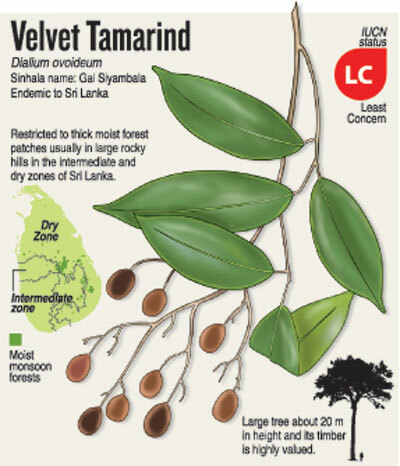 Velvet tamarind trees are also cut down for the value of their timber as they can grow 30m high. A plan to manufacture an electric three-wheeler in Sri Lanka was revealed this week, with its prototype showcased in Colombo for the first time. 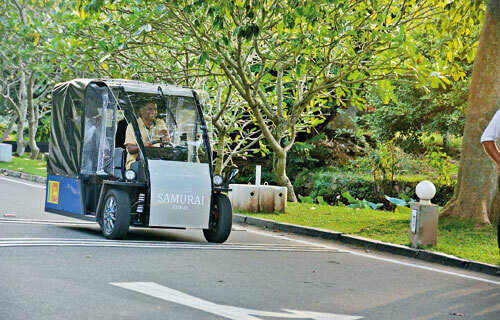 The Samurai three-wheeler, built with Japanese technology and currently being tested in Sri Lanka, could be launched in 2020. The vehicle is powered by two batteries. It has a maximum speed of 60kph with test results showing a more powerful thrust than the normal fuel-powered three-wheeler. At normal cruising range, its batteries could last for about 80km. The new kid on the block will be silent so the traditional “tuk-tuk” sound will be absent if it is introduced to the roads. Currently being tested at the University of Ruhuna, the Samurai will move to Peradeniya University for test runs on mountain terrains. Designed by T-Plan Inc., a Japanese engineering consulting company that provides technical support for automobile giants such as Toyota, Daihatsu and Subaru, the Samurai is slightly larger than a conventional tuk-tuk and is designed differently. The first notable difference is that it has two wheels in front and two at the rear. Japanese engineers say this design is a safety feature that gives the driver more control of the three-wheeler. Sudden turns while driving often result in conventional three-wheelers toppling over but the new design would be more stable. The two wheels in front would hinder reckless and haphazard turns, the designers said. The changed front shape also provides more space for the driver’s legs, which will help reduce leg injuries in crashes. One of the major advantages of the electrical three-wheeler is that it is emission-free, which would help achieve climate change-related emission targets. Sri Lanka pledged to make a 10 per cent reduction of emissions in the transport sector, yet the country has large fleet of vehicles that consume fossil fuels. There are more than a million three-wheelers according to the Department of Motor Traffic, and this number is rising. Electrification of transportation is an urgent task for Sri Lanka because the country spends a huge portion of its foreign reserves on importing fossil fuels, pointed out Professor Monte Cassim, an academic based in Japan who helped initiate the Samurai project. While some question the Samurai’s environmental benefits if electricity is largely generated from fossil fuel, Prof. Cassim has an answer. “Demand for electricity goes down from 10pm-5am and in this period the excess capacity for electricity generated from hydro power etc. goes wasted,” he said. “Hence this time should be utilised for charging the batteries of vehicles to get the maximum eco-friendliness from the ‘electric vehicles’.” A basic problem with electric three-wheelers is the time it takes to recharge the batteries, with the Samurai’s batteries taking six hours to fully charge. The Samurai team came up with a unique solution: a battery exchange system. According to this plan, pre-charged batteries would be kept in strategically located exchange stations. Drivers could exchange their used batteries for fully-charged units at these stations in a matter of minutes, in the time it takes to fill up a three-wheeler with petrol. For the battery-swapping model to be successful a mechanism was needed to inform the driver when the battery is running low and where the nearest exchange station is located. Fujitsu Group, a well-known, innovative company in Japan, proposed customising its existing cloud-based information exchange system for the Samurai. The Samurai project is one of the initiatives nurtured through the Japan-Sri Lanka Comprehensive Partnership (JCP) set up with a mandate to stimulate science, technology, and innovation-led development in Sri Lanka through Japanese technology. All-Island Three-Wheeler Drivers’ Union head Lalith Dharmasekara is positive about the electric vehicle. “The drivers are happy about most of the features and if practical issues can be minimised, the new three-wheeler would be popular,” he said. Who needs glyphosate when friendly weeds can fight for you? The government last week lifted the ban on glyphosate, in deference to complaints that the tea and rubber industries find it difficult to control weeds without the popular weedkiller – but a project successfully proves that weeds among tea bushes can be controlled without chemicals. “You do not need agro-chemicals to control weeds in tea plantations as you can ecologically control the plants that are harmful,” Giri Kadurugamuwa of Rainforest Alliance, which has successfully experimented with an ecological method to control weeds, said. “We must first understand that not all plants that grow in the underlayer are harmful: only about 25 per cent of the plants are weeds that suppress the growth of the tea bush, resulting in a drop in harvest,” Mr. Kadurugamuwa said. The other plants are “good”, some enriching nitrogen in the soil, others being edible or having medicinal value. “So, by assisting these friendly herbs to dominate the undergrowth we can control the growth of bad weeds,” Mr. Kadurugamuwa explained. Initially, noxious or troublesome weeds must be removed manually before the weeds flower. This process need to be repeated periodically in the initial stages. After a few cycles, a thick mat of good weeds that have been allowed to grow under the tea bushes will prevent the bad weeds from regrowing. Once this natural control of weeds is established, growers do not need to put in intensive labour to uproot bad weeds frequently, and the money spent previously on weedkiller is also saved, Mr. Kadurugamuwa said. There are more benefits to this process, the agriculture expert points out. The plants in the undergrowth protect the soil and enrich biomass, adding compost to the tea bush soil. “Many of the good leguminous plants have a root system that can add atmospheric nitrogen to the soil. Nitrogen is a good fertiliser, so, now, the tea bush gets an additional supplement of fertiliser. “Besides, it is known that the roots of some friendly plants add ‘friendly chemicals’ that can, in fact, assist the growth of the tea bush. “It is like we provided a natural ecosystem of ‘friends’ to live with the tea bush. One feels good to be among friends than be alone, and now the tea bushes will be growing happily,” Mr. Kadurugamuwa said jocularly. “But jokes apart, the productivity of the tea goes up under the new method without herbicides,” he said. Tea planters usually follow a ‘clean floor policy’ where no plant is allowed underneath the tea bushes – but this exposes the soil to erosion when it rains heavily. With the new methodology, however, the soil is covered with a carpet of friendly plants so the soil is conserved. Some of these friendly plants, such as goku kola and mukunuwenna, are popular foods for humans, and there are herbs such as undupiyaliya that are used as medicine, so these are added advantages to growers. Weedkillers do not kill tea bushes but can weaken them: they are, to an extent, poisonous to the tea bush. Mr. Kadurugamuwa showed us a tea bush that had decayed sections of bark as a result of exposure to weedicide. The methodology explained by the Rainforest Alliance was first experimented on about two years ago in a pilot project at the Hapugasthenna Plantations in Hatton. Mahendra Peiris, who conducted the research from inception, showed us his thriving tea plot now after several cycles of this method. In doing so, Mr. Peiris also pointed out that popular weedkillers are not effective against some weeds so that in any case manual labour has to be employed for weeding. Thus the new method is also cost-effective, he said. The project was also supported by Global Environment Facility (GEF) and the United Nations Environment Programme (UNEP)’s project for mainstream sustainable tea production in India, China, Vietnam and Sri Lanka. Armed with knowledge of the trial, the Rainforest Alliance, with the help of GEF funds, trained farmers to use the methods in their plots. They also established a training centre at an abandoned tea factory and made some of the farmers “trainers” in order to spread the message to the others. During a previous field study visit, The Sunday Times met several farmers from the Ratnapura area who practise this method. According to a Tea Smallholder Development Authority (TSHDA) official, the Ratnapura range has the highest number of tea smallholders, about 100,000. Of these, about 5,000 are using this weed management system and gaining benefits. Karunawathi, one small-scale tea grower in Kahawatte, Ratnapura, who owns an estate of one acre and 20 perches in extent, said her income had increased after turning to the new weed management system. Another grower, Sumanawathi, said now she harvests 500kg per acre whereas earlier it was only 400kg, so the new system has helped to increase yield. The manager of another tea estate, Sanath Gamage, said his estate has become more environmentally friendly under the new system. Mr. Gamage maintains a log that shows hare, lizards, land monitors and birds frequent these areas more than they previously did. 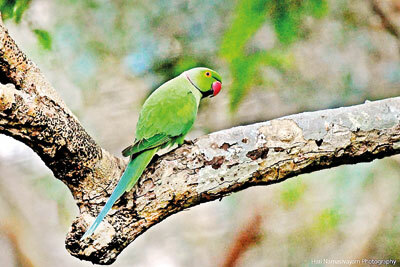 Birds can be monitored to show signs of potential pests, said Mr. Kadurugamuwa. For example, if a group of babblers spend a deal of time feeding in one area, that could be a sign that this portion of ground has been infected by a pest. The birds while reducing the number of pests, also gives an early warning to the farmer. The Rainforest Alliance project is not without its challenges. It is not always easy to turn farmers away from weedkillers. Manual labour is required to remove bad weeds, and this is challenging on slopes. Large plantations are reluctant to practise the method. Experts point out, nevertheless, that tea bush productivity in Sri Lanka is in constant decline and that given this situation it is indeed wise to promote this alternative method of de-weeding tea, especially given its many benefits. “Let’s all hope that growers will start adopting these kinds of environmentally friendly practices to break the dependency on agro-chemicals,” Mr. Kadurugamuwa said. 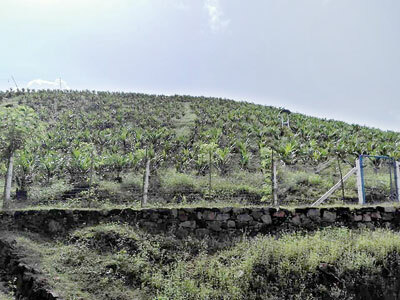 “The establishment of new oil palm plantations, expansion and re-plantation should be discontinued in Sri Lanka,” the Central Environment Authority (CEA) has recommended, asking for time to study claimed critical side-effects such as high water usage, soil erosion, high agro-chemical usage and potential destruction of biodiversity. Palm oil, locally known as katupol (“katu” meaning thorny and “pol” meaning palm nut), is in high demand over its popularity as a cooking oil and for a myriad other uses such as the manufacture of soaps, cosmetics, candles, lubricating greases and edible products such as margarine, ice cream, chocolate and bread. 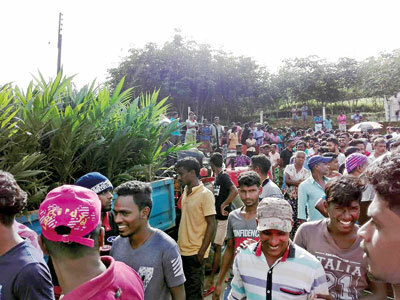 Depletion of groundwater is the main issue raised with the CEA, and as a result of protests the District Coordinating Committees (DCC) of Galle, Kegalle and Kalutara have decided to temporarily halt new oil palm plantations in their areas. 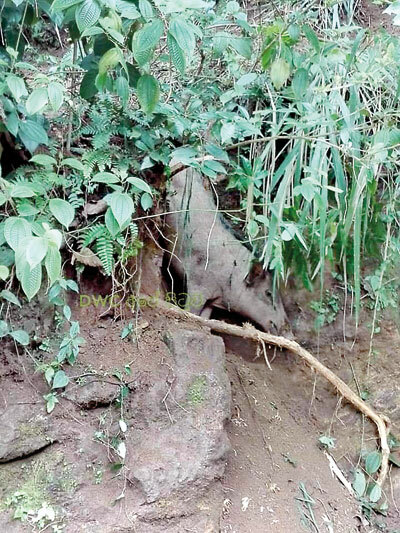 The latest protest, by villagers at Sapumalkanda, Deraniyagala on June 20, led to tense situations with the protest leaders being assaulted by other factions. Palm oil (Elaeis guineensis), which is of African origin, was introduced to Sri Lanka in 1967 by the Nakiyadeniya Estate in the Galle District. A policy decision was taken in 2014 to expand oil palm cultivation on grounds of crop diversification. The plan stipulated that the maximum allowable extent of plantings would be 20,000 ha in marginal, abandoned land and economically unviable land (rubber estates that were more than 30 years old) and that only 20 per cent of such land could be converted to palm oil plantation. This plan is still in operation. Environmentalist Jayantha Wijesingha fears palm oil could soon replace comparatively eco-friendly rubber. “Sri Lanka has more than 10 plantation companies involved in oil palm planting to date. Rubber is one of the relatively beneficial plantation crops established in Sri Lanka and any success by the plantation companies to replace rubber, including plans to plant oil palm in more than 10,000 acres of land in the central hills, means imminent destruction [of the environment],” Mr. Wijesingha said. In Malaysia and Indonesia, the leaders in palm oil cultivation, large areas of primary forest have been cut down to make way for the oil cash crop, causing a huge outcry. Environmentalist Sajeewa Chamikara of the Movement for Land and Agricultural Reform stressed that Sri Lanka should focus on crops that have local use rather than cash crops aimed at exports. Mr. Chamikara also pointed out that no proper study of the environmental impact of palm oil was carried out before its introduction to Sri Lanka. Minister of Plantation Industries Navin Dissanayake calls such criticism unscientific and emotional, saying palm oil production would be profitable and save foreign exchange. Professor Asoka Nugawela of the Faculty of Agriculture at the University of Wayamba also said palm oil has the potential to become a key export and that research was required to stop it being regarded as an enemy. He said many arguments against the crop were baseless and that even justified fears could be effectively mitigated. Pointing to the concerns that palm oil cultivation led to severe depletion of water resources, Prof. Nugawela pointed out that the Nakiyadeniya plantation was now more than 50 years old and that no water shortage in the area had been reported. He also pointed out that global outrage against palm oil was caused by palm oil companies cutting down natural forests and causing biodiversity crises in countries such as Indonesia, whereas in Sri Lanka it was only unproductive and aged rubber land that was being converted to palm oil plantings. “Most of our plantation crops are naturally found in tropical rainforests. 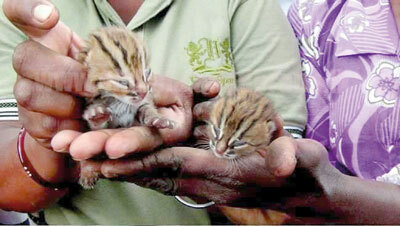 We have domesticated them and established commercial plantations for the benefit of mankind. “If we select land with suitable climatic and soil conditions and then establish and manage them using good agricultural practices I doubt that these will do harm to the environment. 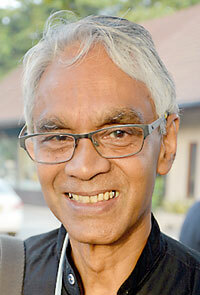 If it is otherwise, that would be the fault of management and not the crop,” Prof. Nugawela said.